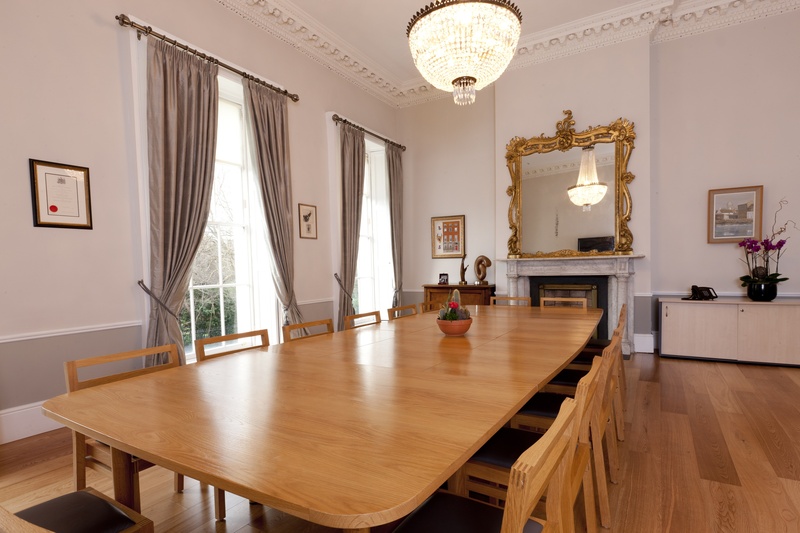 22 Merrion Square, The College of Anaesthetists, offers Georgian elegance and state of the art facilities. The Georgian building, situated on the North side of the square and overlooking the park, has been carefully refurbished with great emphasis placed on its wonderful features boasting tall sash windows, impressive coving, ceiling roses and fireplaces. The 100 seat Lecture Theatre and Reception Area along with the elegant Boardroom are both located in the main building. The College also boasts a newly built training facility with two bright, naturally lit meeting rooms and a boardroom is located across the courtyard. 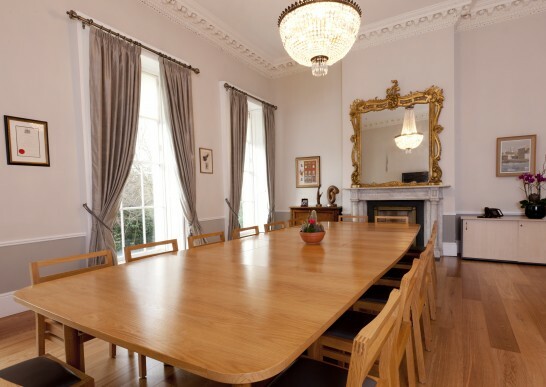 With state of the art audio visual services and wi fi throughout, 22 Merrion Square is the perfect choice for small conferences, meetings and intimate gala dinners.